Nice catch today with Fishing Headquarters. We had a fun and exciting trip today, so I figure I’ll write a fishing report about it. 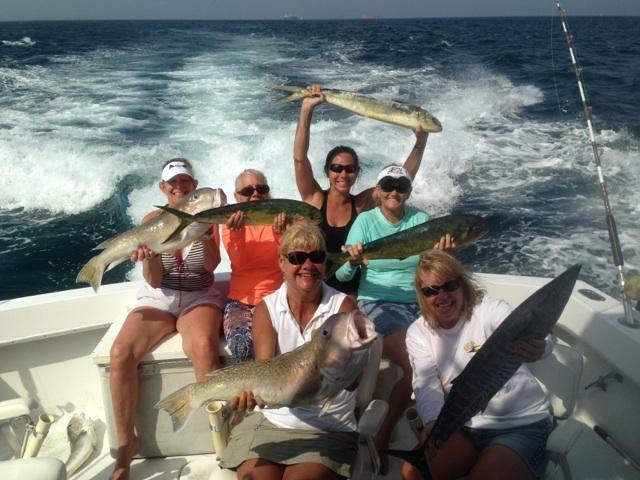 We had some serious fisherwomen on the boat today including Betty Reyher, Ashley Reyher, Laura Hogel, Elizabeth Forde, Jill Irvine and Shelly Lewis. These gals can fish! 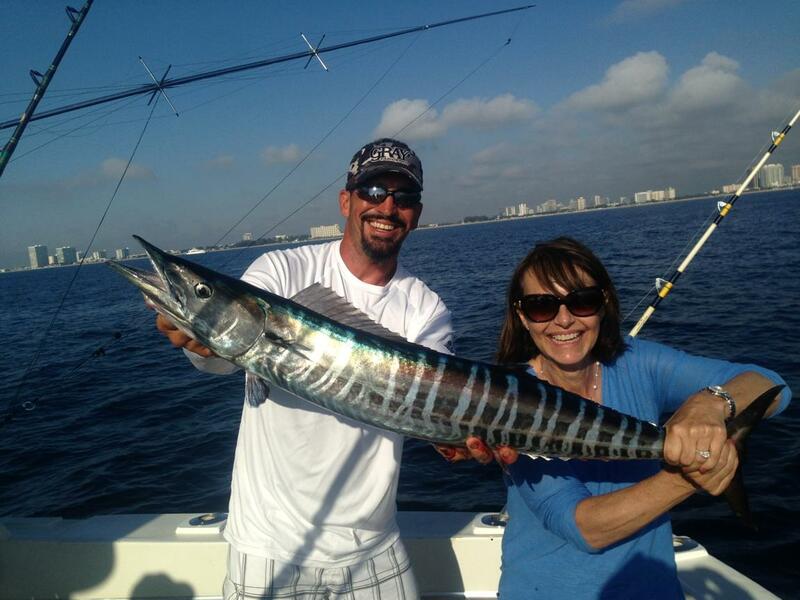 We started off trolling and caught a wahoo right off the bat. We missed a couple nice dolphin too. 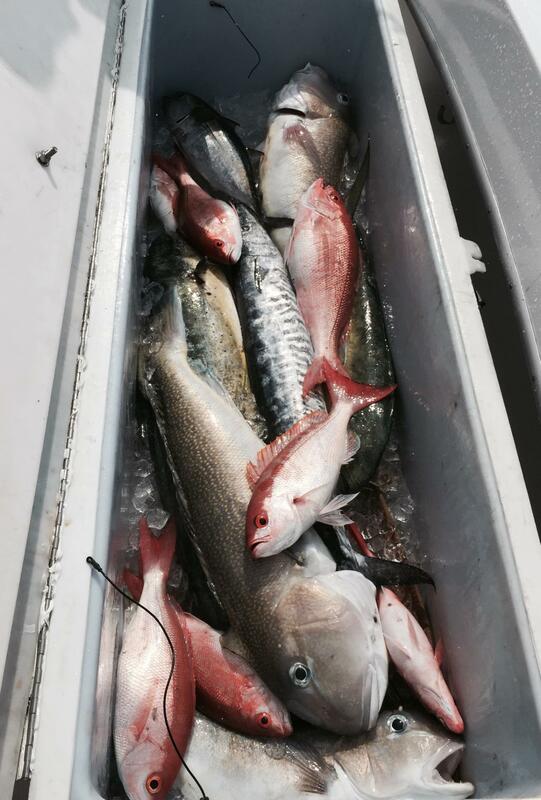 We decided to go out and do some deep dropping for golden tilefish, so we headed offshore with our trolling lines out. We caught a couple dolphins on the way out there. We put the kites up with some live goggle eyes and did some deep dropping at the same time. 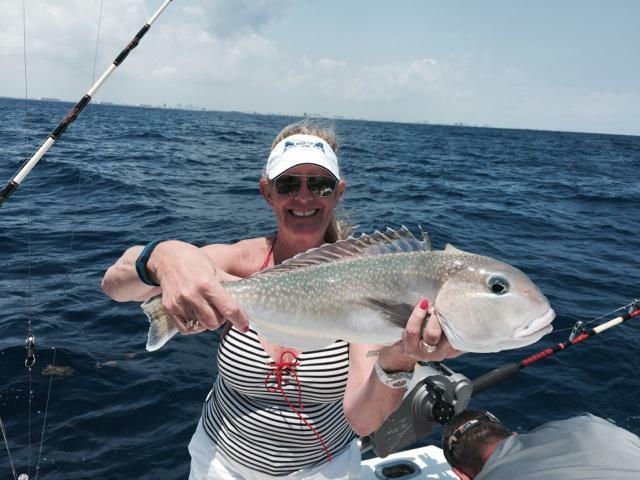 The golden tilefish were biting good, so we caught a few nice ones. No action on the kite though. 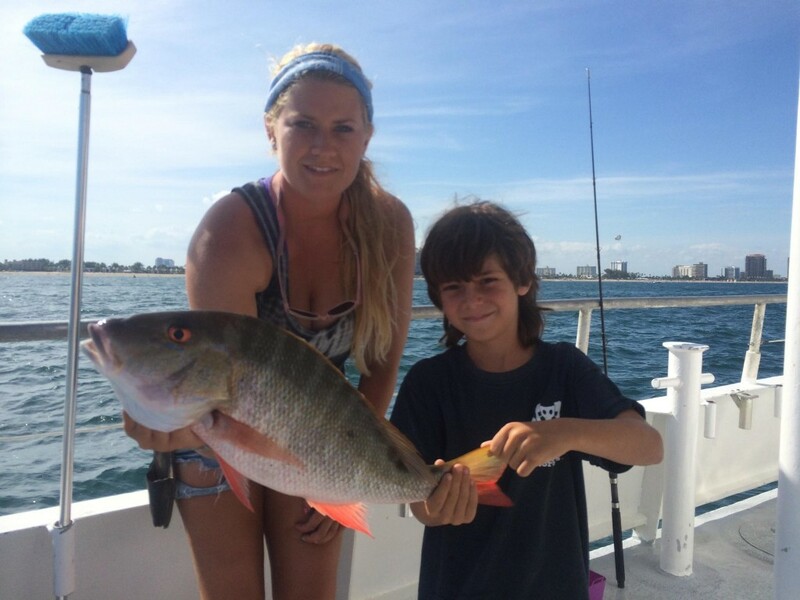 After we got our golden tilefish, we decided to go in a little shallower and drop for snappers. 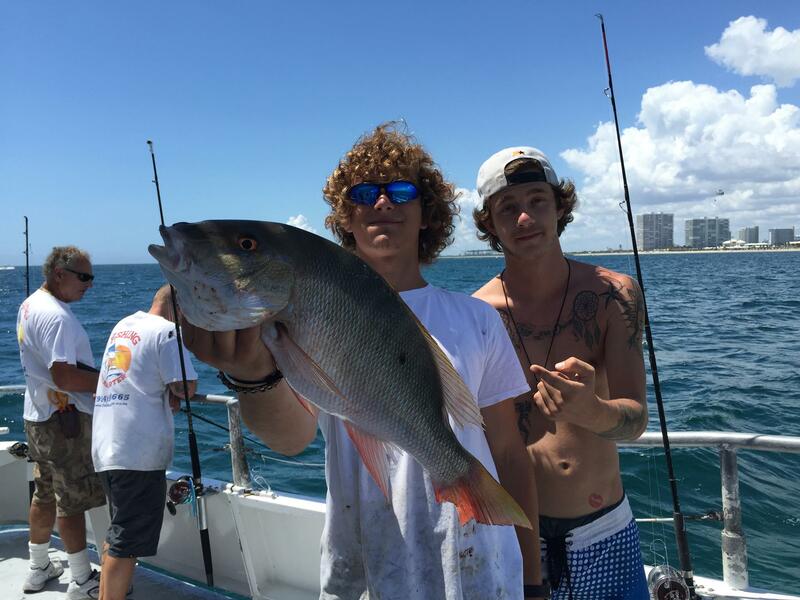 We caught about 10 vermillion snappers. The girls had plenty for dinner so we put the trolling lines back out and headed for home, catching one last tuna before we were done. 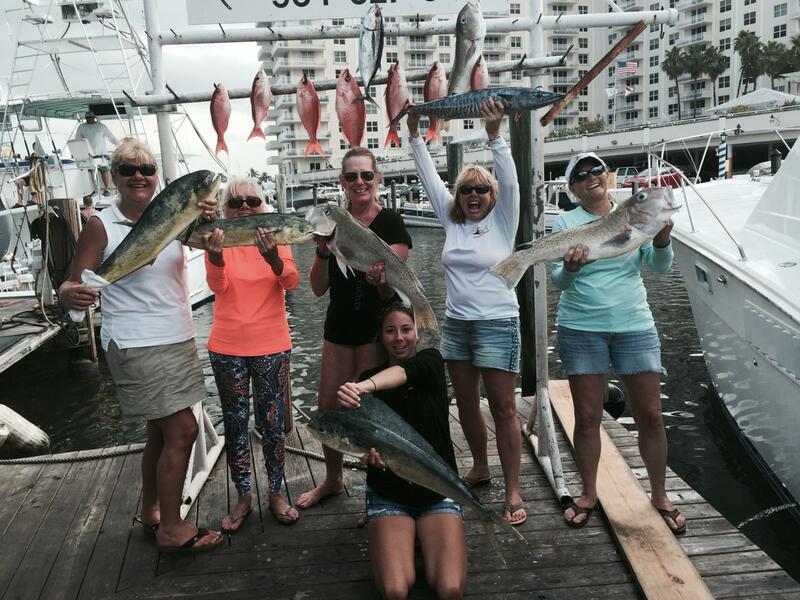 The action fishing Fort Lauderdale this week has been excellent. Dolphin, wahoo and tunas are around and although we didn’t catch any today, the sharks and sailfish are biting pretty good too. Deep dropping is also a great way to get some great eating fish for dinner this time of year. 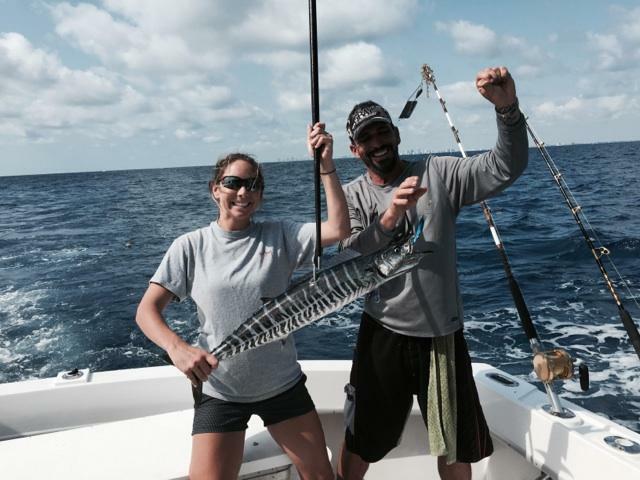 You can’t go wrong fishing Fort Lauderdale in April and May. Good luck to everyone fishing this week, the fish are biting! 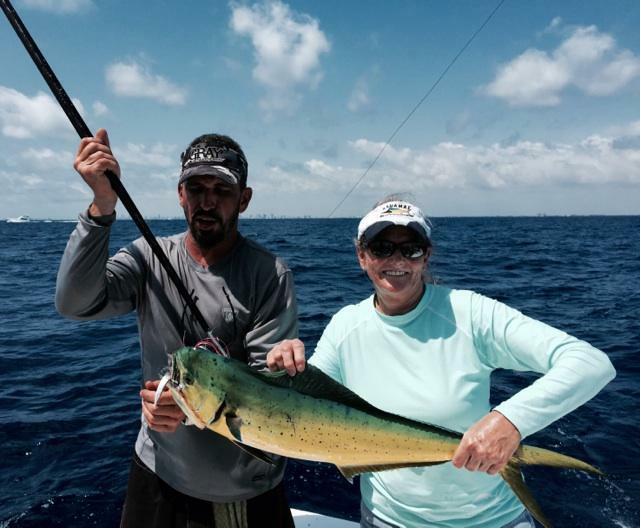 Jill with a mahi-mahi just caught trolling the reef of Ft Lauderdale. 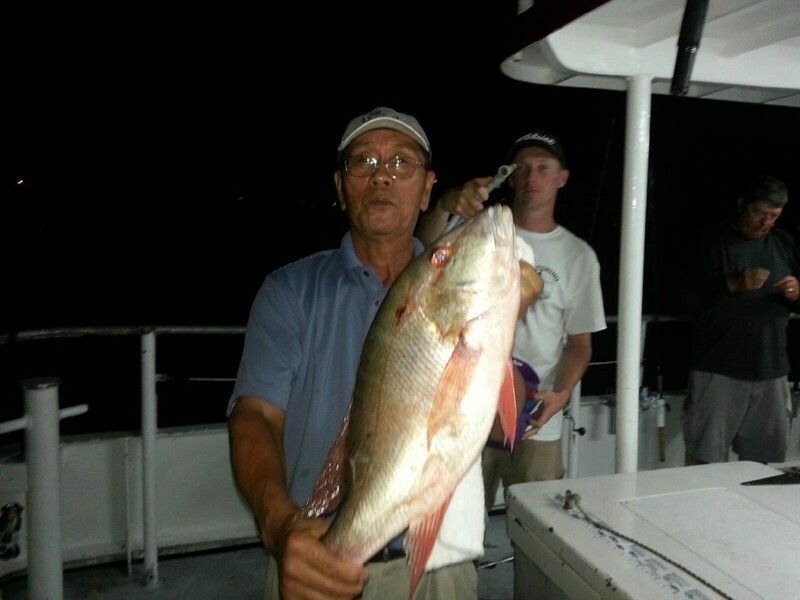 The snappers are biting like mad on our drift fishing trips this week. The yellowtails are hitting, as well as mangroves and muttons too. Morning trips have been a bit slow, but the afternoon and night trips are making up for it. 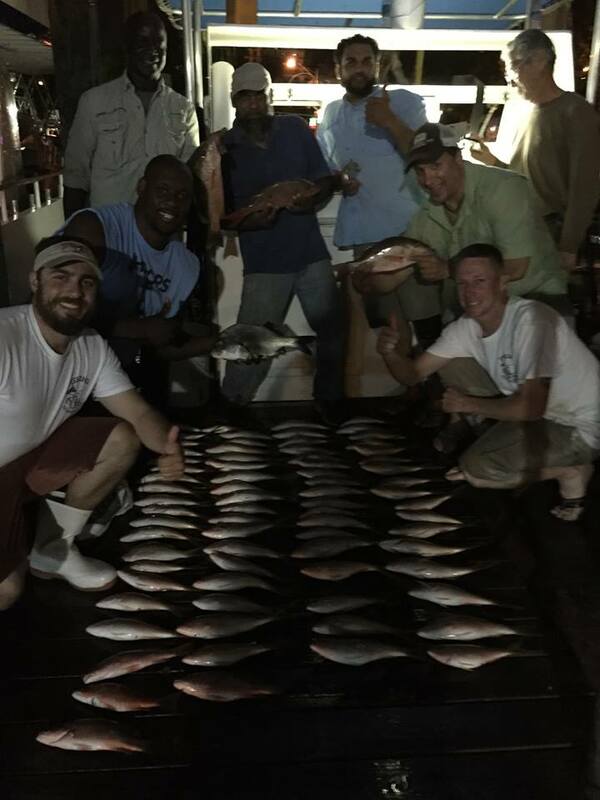 The muttons are showing up particularly well on the afternoon trips and the yellowtails/mangroves are snappin’ on the night trip. The mangroves have been exceptionally big lately. Ballyhoo plugs and squid are the top baits for these tasty bottom critters. You have a good shot at catching a bigger snapper on the afternoon trip, but the action is certainly best on the night anchor trips. 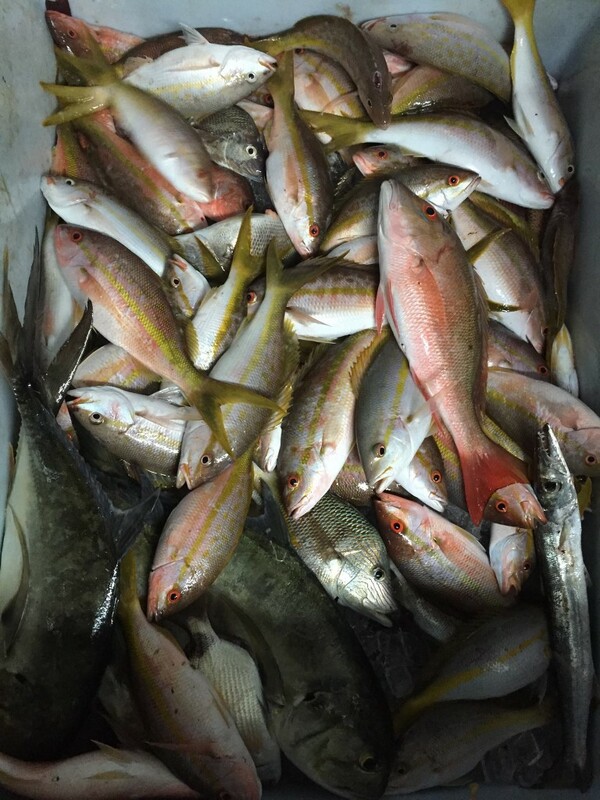 Mixed in the the snappers have been lots of grunts, porgies, triggerfish, toros, small sharks and groupers. Groupers are out of season for a couple more weeks. 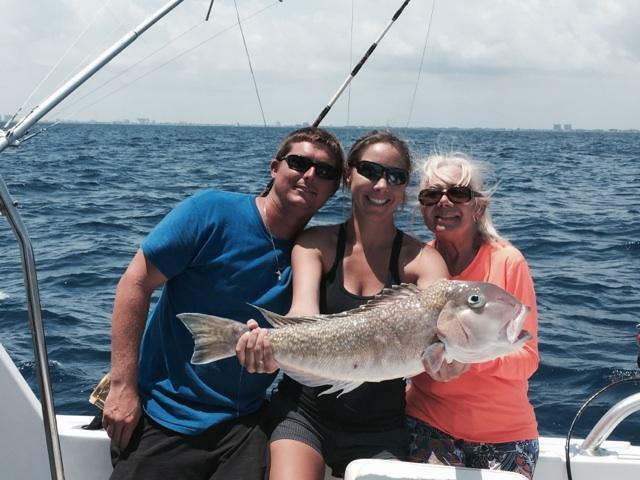 May 1 is the start of grouper season where we can keep ’em. For the best action, night is always best. We’ve had some outstanding night fishing trips this week. It takes a while to get the snappers chummed up, so be patient. But once they hone in on that chum, the surround the boat and start biting everything you drop down to them. A couple nights this week we’ve caught over a hundred fish, 60 or 70 of them keepers. That’s some good eating! 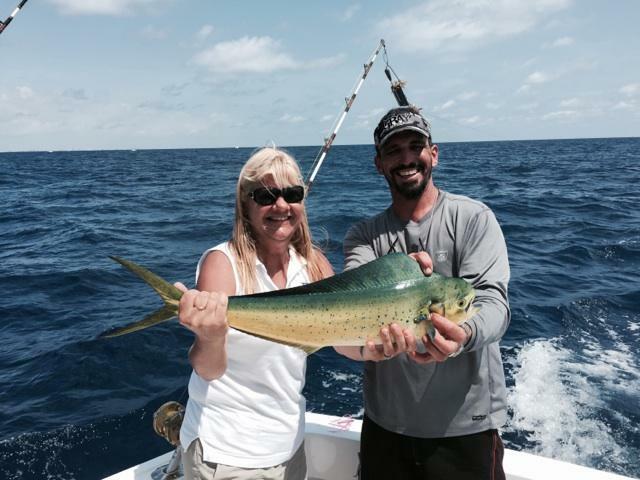 For the biggest fish, make sure to check out our sportfishing charters, which are catching mahi-mahi, tunas and big game sharks this week. Good luck to everyone fishing with us over the next few days. I’ll sea ya on the water! Wahoos, Wahoos and More Wahoos. 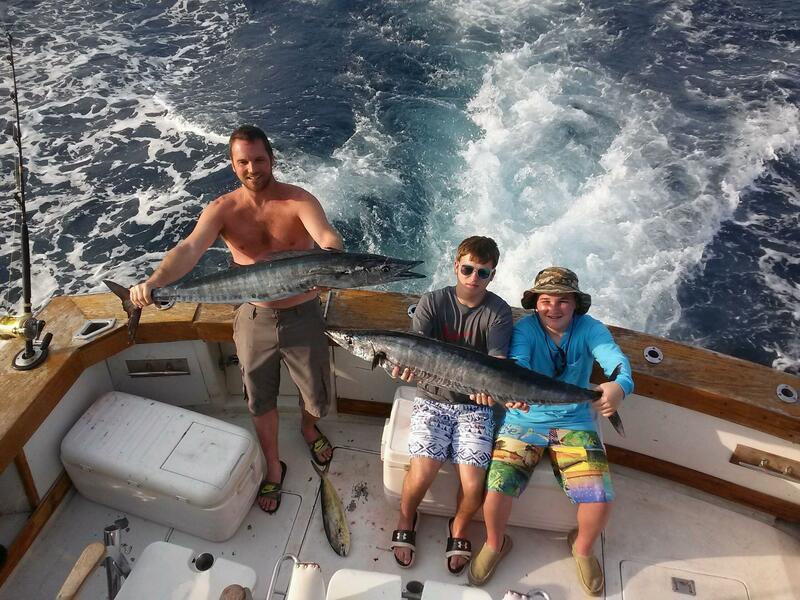 Great Wahoo Action in Ft Lauderdale. Wow, what a week we’ve had trolling for wahoo. They are jumping in the boat. Not literally, but they sure are biting good. The wahoo always bite good around the full moon, and this week is no different. 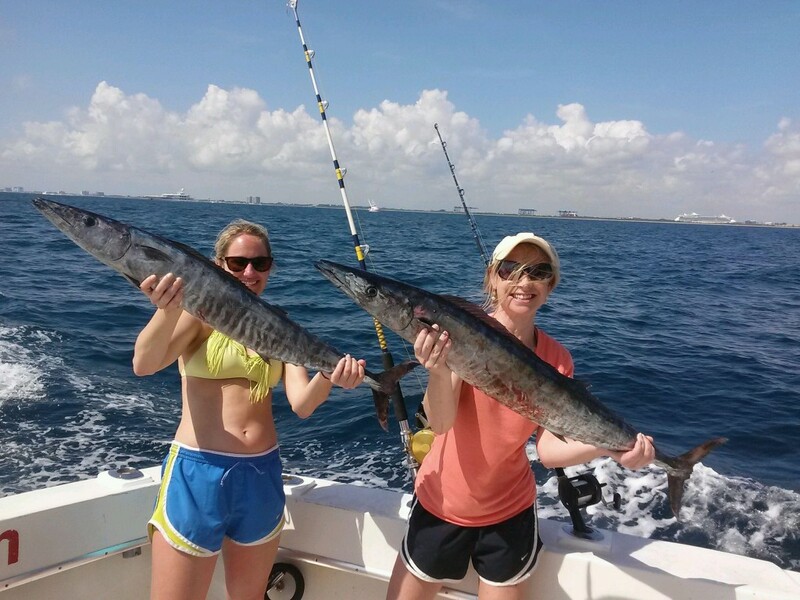 We’re catching them trolling in 180-450ft of water, just a mile and a half off the Ft Lauderdale coast. We’ve caught a couple doubles and a couple triples over the past few days. There are also some mahi-mahi mixed in and a few tunas. 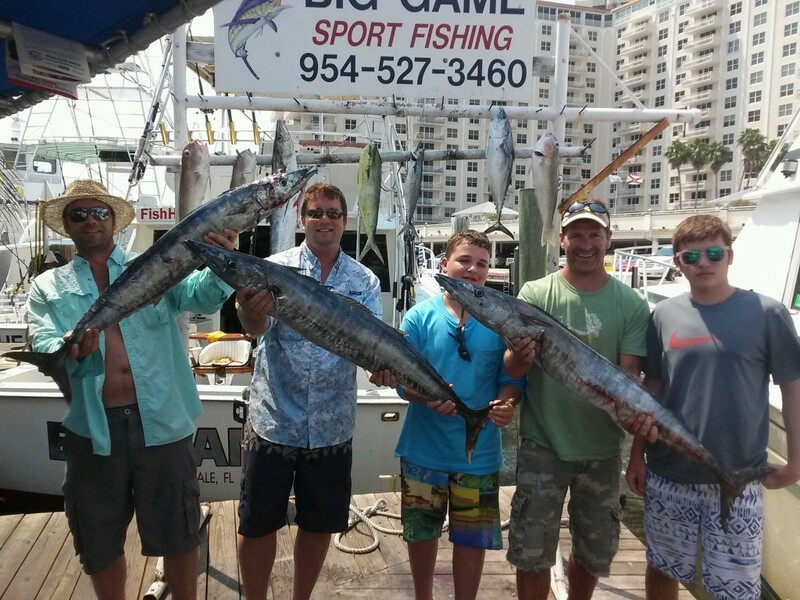 Our sportfishing charters aren’t catching them on every single trip, but this is a great time to come out and fish for the fastest fish in the ocean. Let’s go fishing!